I have an idea for Mitt Romney: Release your tax returns today. Your coverage can’t get any worse than it’s been in the last 48 hours or so, and with any luck, your tax issues will distract the global media from your disastrous London anti-diplomacy. But seriously, what are we to make of Romney’s Olympics debacle? How could this happen to the man who ran the 2002 Olympics? Then he publicly discussed a briefing by MI6 head John Sawers (looking extremely chastened), when it’s customary to keep such briefings private. He seemed to forget Labor Party leader Ed Miliband’s name when they met. “Like you, Mr Leader, I look forward to our conversations this morning,” Romney said to Miliband, shaking his hand. Its roads and houses are small. With few exceptions, it doesn’t make things that people in the rest of the world want to buy. And if it hadn’t been separated from the continent by water, it almost certainly would have been lost to Hitler’s ambitions. Yet only two lifetimes ago, Britain ruled the largest and wealthiest empire in the history of humankind. Britain controlled a quarter of the earth’s land and a quarter of the earth’s population. 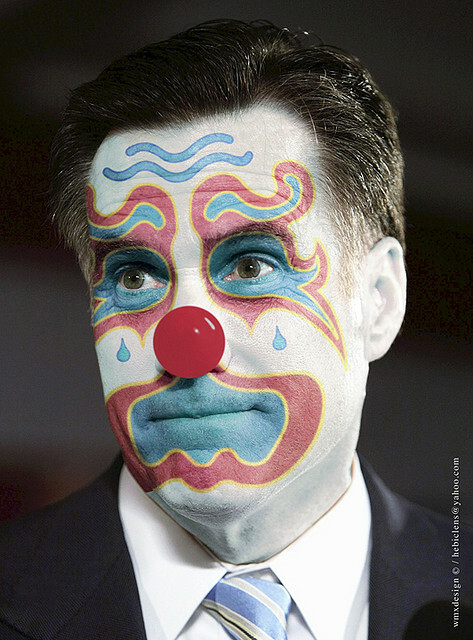 I’ve written that Romney’s many gaffes reflect his enormous sense of entitlement and lamentable lack of empathy. Surveying British Olympics logistics, he felt entitled to hold forth on its flaws harshly, because that’s the sort of thing he did at Bain Capital. Perhaps Romney thinks the British should have outsourced the Olympics. Or maybe he sees an opening for a leveraged buy-out, to make it more efficient. At any rate, the guy who said, “I like to be able to fire people who provide services to me,” is a guy used to mercilessly appraising a situation and delivering a slashing verdict. He clearly feels he’s entitled to do that anywhere. But could it be more than entitlement and an odd personal style? I’ve found myself wondering over the course of the campaign whether Romney has some kind of personality disorder, so dissociated does he occasionally seem from the well-worn routines of normal human interaction. Maybe we should be asking to see his medical records and not just his tax returns. I don’t mean to be flippant about that or insensitive to any kind of problem he may struggle with. But his struggles are our struggles; he’s running to be our president. There is something very odd about Mitt Romney. Romney wrapped up his no-good very-bad day at a fundraiser with the banks at the heart of the Libor scandal. Sad to say, it was probably a step up for him, given all the rancor he provoked. Maybe that was the idea: Commit a lot of gaffes to distract the media from your banking fundraiser. Don’t let it turn into a Hamptons soiree kind of thing. The pressure on Romney doesn’t end when he leaves London; it gets worse. In Israel, the newspaper Ha’aretz proclaimed “Romney bombs in London, and can’t wait to get to Jerusalem.” Romney’s British gaffes were largely a matter of lack of courtesy and protocol; flubs in Jerusalem could have global implications. Romney is a disaster. He is incapable of providing leadership for this country. I feel that he should be sent on the first expedition to Kolub. Perhaps he can be an ambassador to that Mormon Planet. Let us pray that American voters agree.